Item # 311481 Stash Points: 799 (?) This is the number of points you get in The Zumiez Stash for purchasing this item. Stash points are redeemable for exclusive rewards only available to Zumiez Stash members. To redeem your points check out the rewards catalog on thestash.zumiez.com. 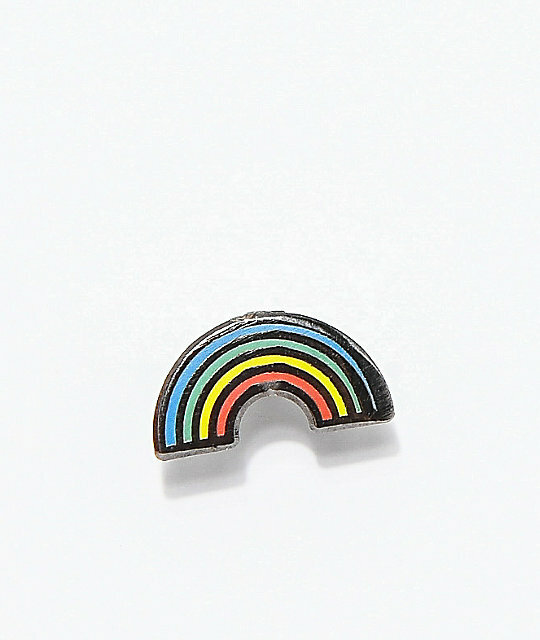 Add a miniature splash off color to your vest or bag with the Pintrill Mini Rainbow Enamel Pin. 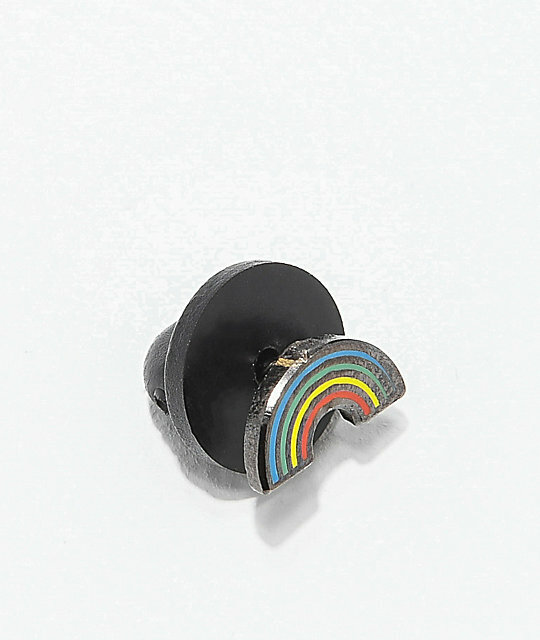 This tiny little rainbow features an enamel construction and double pin clasp for a firm hold. Mini Rainbow Enamel Pin from Pintrill.